Kenny Rogers in Montreal or Quebec City? Inform me about the next events for Kenny Rogers. Enroll yourself to our priority waiting list for Kenny Rogers to be alerted when new tickets are available. Filling this form doesn't engage you to any purchase. Kenny Rogers is coming back to Montreal on November 27th, 2013, for a Christmas concert at the Wilfrid-Pelletier Hall of La Place des Arts. Linda Davis will be the special guest. 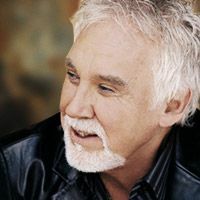 For the 32nd consecutive year, Kenny Rogers will be touring throughout North America to perform his many hits as well as a selection of Holiday classics ! Fans can expect a joyful night with well known songs performed by one of the most popular stars in America.